The Philippines military is set to admit its first trans officer, it has been reported. 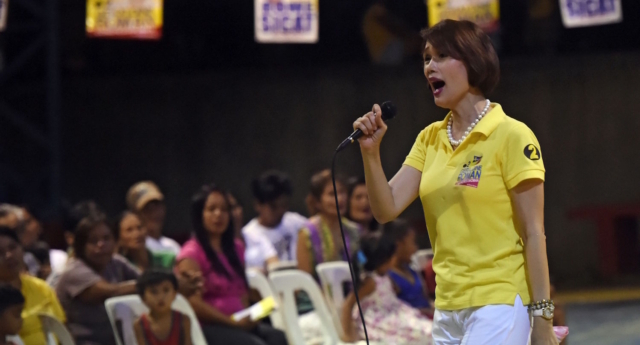 The Armed Forces of the Philippines (AFP) has said, Representative Geraldine Roman would be a “welcome addition” if she follows through with her plan to join the reserves. Yesterday, Ms Roman announced she plans to apply to become an officer and if her application is approved she would be the first transgender officer in the country’s history. Although she has not officially submitted an application form, the AFP have confirmed that Ms Roman approached the Office of Reservist and Retiree Affairs with an interesting in enlisting. When asked if Ms Roman would be allowed to wear a female uniform, Col. Arevalo confirmed that would be the case as they did not want her to be ridiculed. “Asking her to wear a male uniform when she is already transformed into a woman will put her to ridicule and we do not want that to happen in the Armed Forces,” he added. The AFP said that if Ms Roman’s application was successful she would be appointed a lieutenant colonel in Army, Air Force or Marines or a Commander in the Navy. Ms Roman made history as the first trans candidate to win a seat in Congress last year.